In 1973, construction of the Stavropol canal was unexpectedly stopped near the village Krasnoe Znamya, 75 kilometres from Stavropol in southern Russia, by the sudden discovery of ancient ruins. A special archaeological expedition was urgently sent from Moscow and a few days later it revealed a group of Scythian burial mounds called kurgans in Russia. 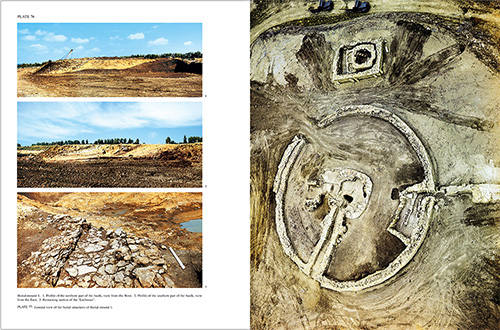 This was one of the most remarkable discoveries for Scythian archaeology in decades. 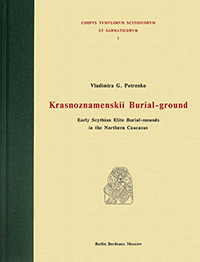 During the 1973–1974 field seasons, the intensive archaeological excavation headed by Dr. V. Petrenko uncovered a complex of burial mounds with sophisticated architectural structures that have no parallel in southern Russia. 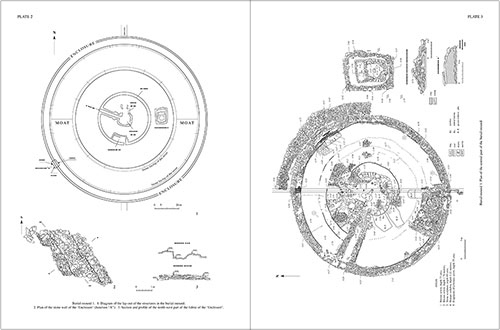 The heart of the necropolis was the huge burial mound contaning several burial chambers. It was surrounded by a wide ditch with stone sides and enclosed by a wall, 140 meters in diameter, built out of sandstone slabs. 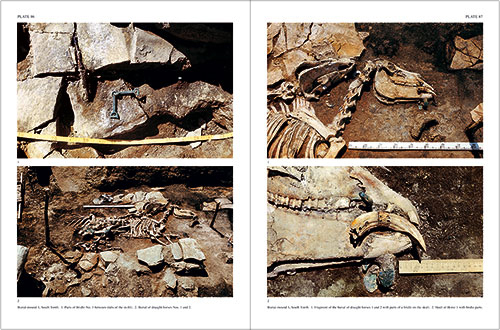 Within the necropolis numerous artifacts were found, enabling the author to reconstruct elements of burial rites with numeriuos horse sacrifices, and to detect the use of food and color symbols in burial ceremonies. Of special interest were the fire rites, traces of which were found all over the complex. 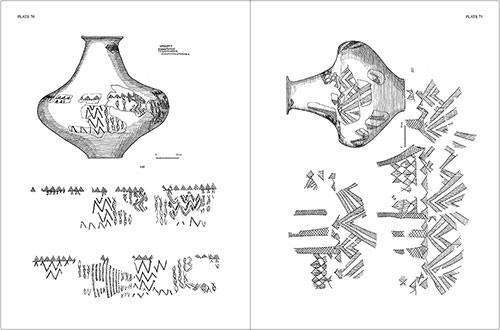 Some finds from the necropolis have reliable and well-dated parallels in Near Eastern art, which are used to determine the absolute chronology of the complex. Despite the protests of scholars, in 1974 the construction of the canal was resumed and the kurgan complex was completely destroyed. 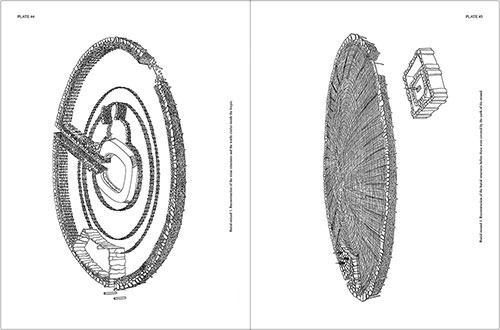 Besides several short articles by Dr. V. Petrenko and 4 photographs, no description of the complex has ever been published. Plate 8. Burial-mound 1. 1. West face of the dromos wall in the Central Tomb and the adjacent stonework; 2. Central Tomb, north-east sector. Layer of clay between wattle and stonework; 3. Join of first wattle circle and the collapsed fabric of the North Tomb; 4. Profile of the clay cover over the spoil of stones from the North Tomb, view from the North; 5. Outer faces of the spoil from the walls of the North Tomb; 6. Inner faces of walls of the entrance chamber of the North Tomb; 7. Ruined section of the krepis in the north-east sector; 8. Ditto, viewed from the outside. Plate 9. Burial-mound 1. 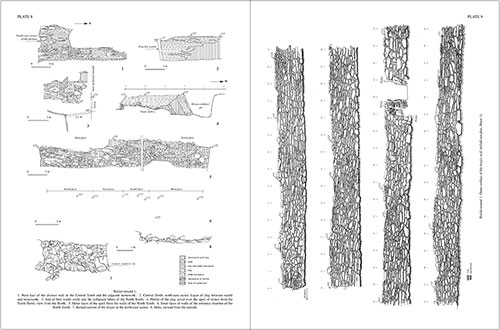 Outer surface of the krepis wall (rolled-out plan, Sheet 1). Ljudmila K. Galanina Die Kurgane von Kelermes. »Königsgräber« der frühskythischen Zeit. Steppenvölker Eurasiens. Bd. I. Moskau, 1997. Askold I. Ivantchik Kimmerier und Skythen. Kulturhistorische und chronologische Probleme der Archäologie der osteuropaischen Steppen und Kaukasiens in vor- und früskythischer Zeit. Steppenvölker Eurasiens. Bd. II. Moskau, 2001.